Sports and Team Pictures - SDS Photography, Inc.
For the past several years, I have done team pictures for various teams in the Roanoke area. One enjoyable aspect of doing team pictures is seeing the young athletes grow from year to year. My goal is to provide high quality images and prints to parents so they can document their child's activities as they grow. When a coach makes a decision to use SDS Photography for the first time, I often hear comments by parents telling the coach that the images look professional and so much better than the previous pictures. 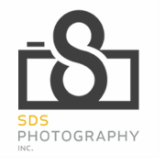 SDS Photography has very affordable pricing options. Don't save pennies to only gain poor quality on your child's memories. It isn't worth it. SDS Photography also free-lances for the Roanoke Times sports section. I love photographing sports. You get the best seats in the house and anyone who is a sports fan can appreciate this! I have extensive experience photographing football, basketball (high school and collegiate), soccer, lacrosse, baseball, softball, track & field, 5k's (including color run and zombie runs), wrestling, swimming, and cheer competitions. I have spent a lot of time studying and researching how to improve my sports photography skills and apply what I learn to every event I attend. My sports photography experience occasionally extends to other work I perform. I have had high school senior sessions and family shoots incorporate sports activities into their sessions. I even used my sports experience when working as a set photographer for a movie involving horses. I am proud that one of my action images earned a spot on the movie poster for the film.